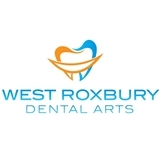 West Roxbury Dental Arts (West Roxbury) - Book Appointment Online! Welcome to Our Practice! We are a comprehensive general dentistry office that takes pride in providing oral health care for the whole family. Our entire team at West Roxbury Dental Arts is dedicated to making your smile our number one priority. We strive to create healthy beautiful smiles in a friendly and pleasant atmosphere. Our dentists are knowledgeable and excel in providing gentle personalized care and help our patients make informed decisions regarding their oral health. To better accommodate our patient the schedule is booked on the hour. Please keep in mind that appointments are specially reserved for 1 hour. Please allow us a courtesy notice of a least 48 hrs for any/all appointment changes. Thank you and look forward to serving you soon.